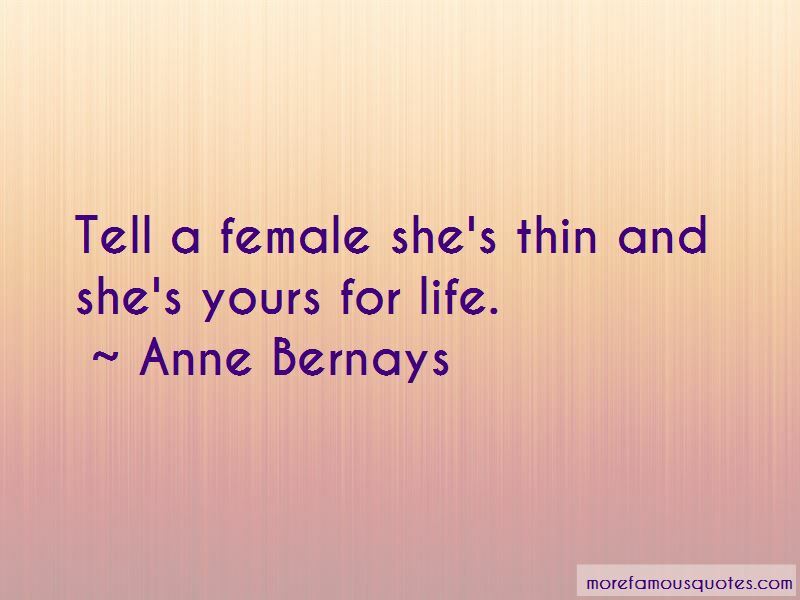 Enjoy the top 7 famous quotes, sayings and quotations by Anne Bernays. You can teach almost anyone determined to learn them the basics required to write sentences and paragraphs that say what you want them to say clearly and concisely. It's far more difficult to get people to think like a writer, to give up conventional habits of mind and emotion. 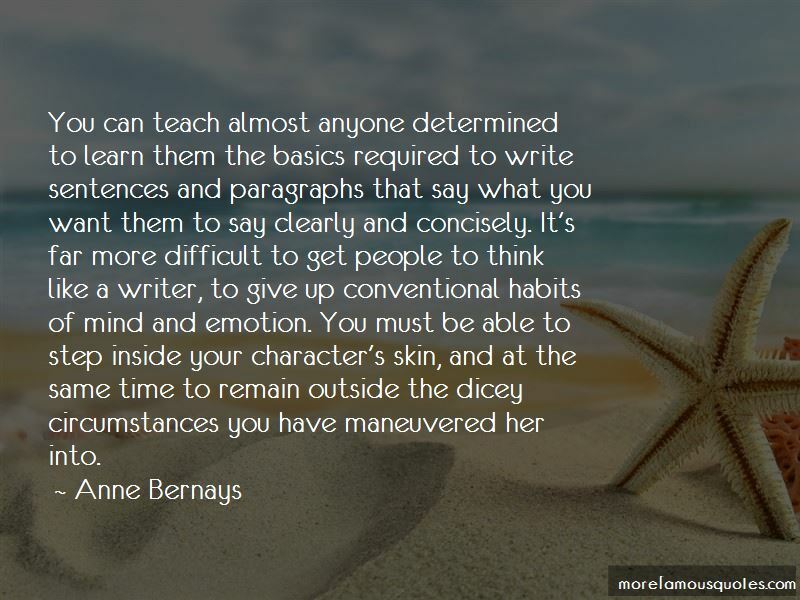 You must be able to step inside your character's skin, and at the same time to remain outside the dicey circumstances you have maneuvered her into. Publishers never tell writers anything. They're all crazy and they drive me crazy. There's a sureness to good writing even when what's being written about doesn't make all that much sense. It's the sureness of the so-called seat of an accomplished horseback rider or a sailor coming about in a strong wind. The words have both muscle and grace, familiarity and surprise. 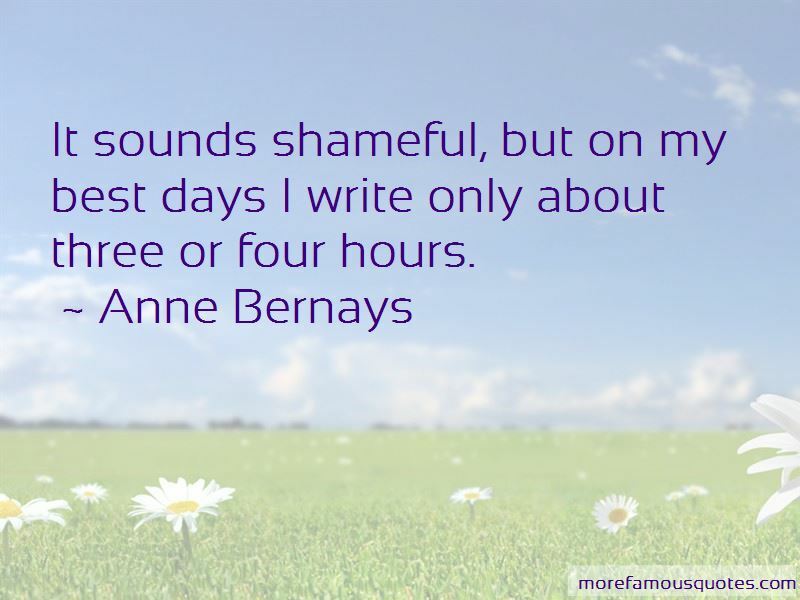 Want to see more pictures of Anne Bernays quotes? 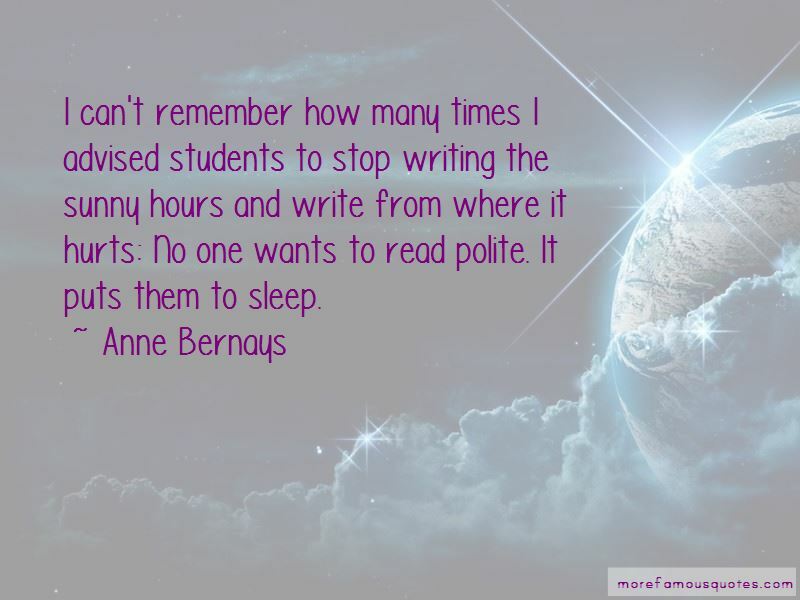 Click on image of Anne Bernays quotes to view full size. “If I have the gift of the prophecy, and can fathom all mysterys and knowledge, and if I have faith that can move” — Anonymous.